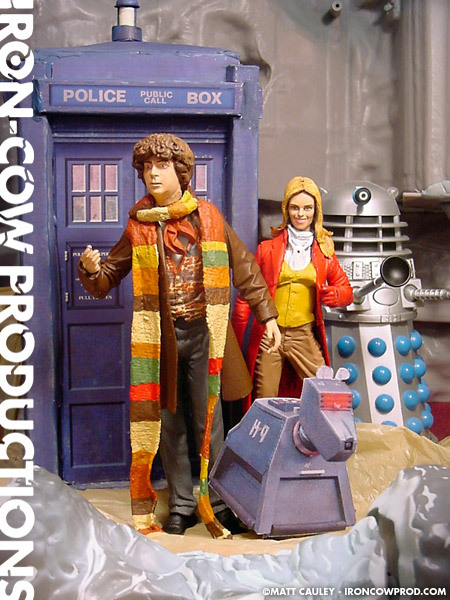 This Fourth Doctor custom is one of the few I actually got right the first time around. 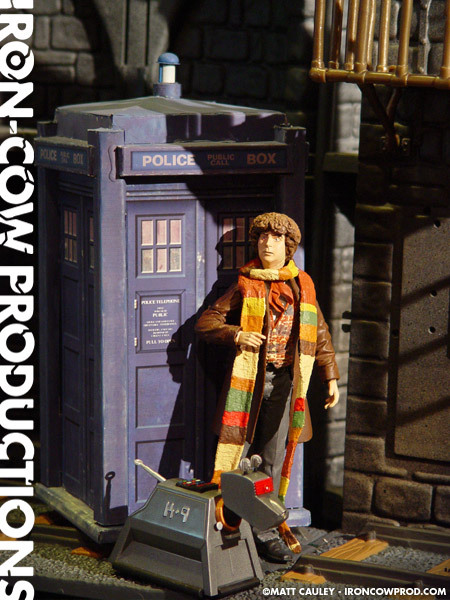 This version of the Doctor was played by Tom Baker, easily the most recognizable of all the actors who portrayed the character. 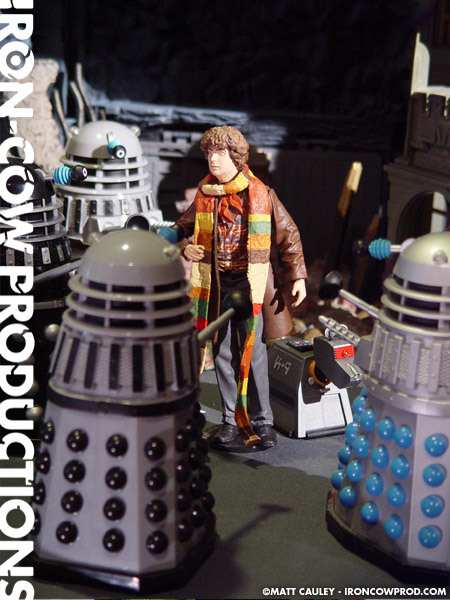 The Fourth Doctor custom is a heavily reworked Movie Maniacs Shaft figure. The arms are borrowed from a Michael Myers Halloween figure. The vest actually used material from a McFarlane Doug McKenzie, though it’s been significantly altered to fit the figure. Doug McKenzie donates his head as well. New hair is sculpted with Kneadatite. Let me tell you: sculpting those curls was definitely a bit of a pain. 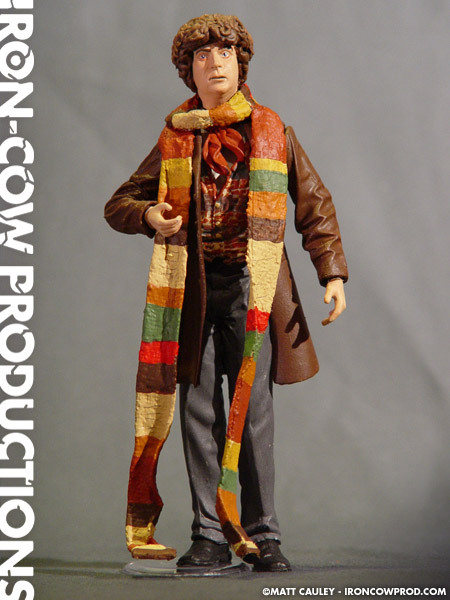 Perhaps the most enjoyable feature of this custom is the Doctor’s scarf. 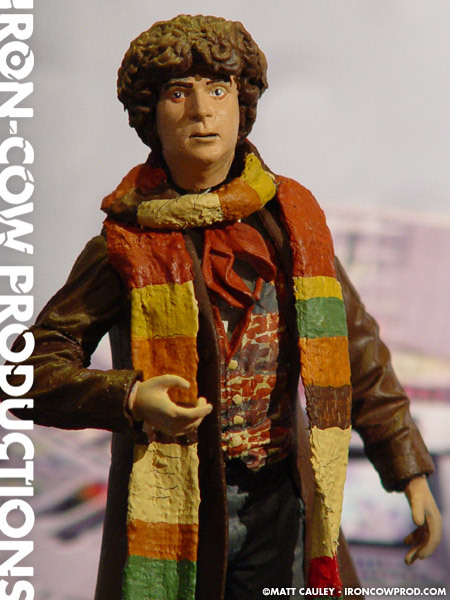 The scarf was made using RigidWrap, a product that is essentially gauze soaked in plaster. The scarf is removable and yet form-fitting at the same time. 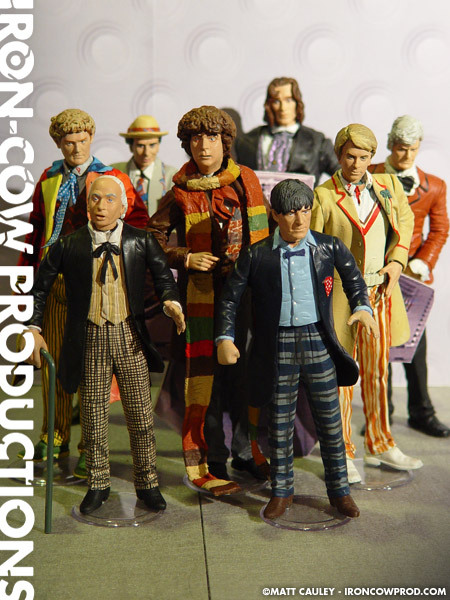 Tom Baker was also the tallest of all the actors who played the Doctor. 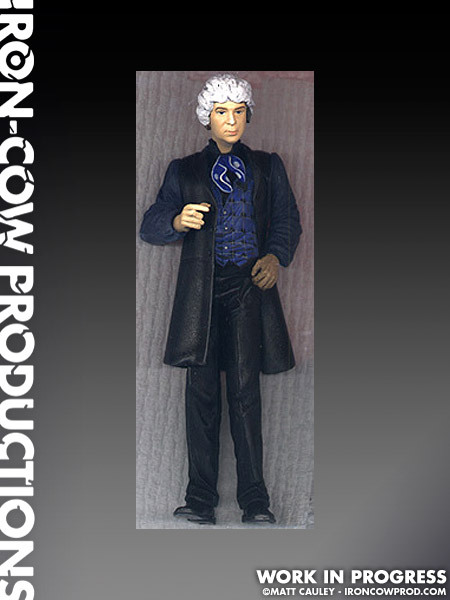 The Shaft base figure has been given added height to reflect this.